How To Skip The Lines At Disneyland! Contrary to popular belief, you can ride all, if not most attractions at Disneyland in one day. To ride everything takes a little planning and knowledge. I can spend 6 hours at Disneyland never wait in line and ride anything I want. My big secret is I combine FastPasses with Single Rider lines. I also look for overlooked and under appreciated rides that have a wait time of five minutes or less nearby. I do not pay for MaxPass. But read my post on it if you want to know why I do not use it. For example, I get a FastPass for The Haunted Mansion. I then use the Single Rider line for Splash Mountain. I go on Winnie the Pooh after Splash Mountain then ride the Haunted Mansion. A great pairing of this system especially in the morning or late at night is a FastPass for Star Tours, Single Rider for Space Mountain. I will go on Buzz Lightyear, the Astro Orbitor, and Autotopia to kill time waiting for my FastPass. That is five rides in an hour or less. Some days I get lucky and ride Finding Nemo too. Do not waste your time on getting Fastpasses for rides that offer a single rider line. For example, get a FastPass for Big Thunder Mountain. A FastPass does not mean you can ride right away. You must wait until your return time. The fastest way to get on a ride is take advantage of the single rider entrance if you are waiting to ride Big Thunder Mountain ride the Matterhorn and Indiana Jones with the single rider option. You might not sit with your party, but you are still getting on the ride faster. FastPasses for Radiator Springs Racers and Space Mountain Fastpasses can hard to because they run out. Space Mountain the return time could be hours later in the meantime you cannot get any more FastPasses. The Radiator Springs Racers FastPasses go fast as do Guardians of the Galaxy. Have a designated runner whose job is to get FastPasses if you have a large party. They can do this while you get in a ride or food line and return after they get the passes. The official Disneyland app lists which attractions are offering FastPasses. As some run out early. Fantasyland lines are a waste of time. The Matterhorn offers FastPass but a single rider is your best bet. It's A Small World offers FastPass the return time can be 10-20 minutes. Skip Fantasyland during the day if you can as lines are twenty minutes or more. They close most of the attractions during the fireworks. Visit Fantasyland during the second parade or Fantasmic show because the lines will be shorter. Half of the time, the wait times are about five minutes, and sometimes you can walk straight on the rides. Most weeknights before Disneyland closes you can walk on most rides. Carsland is much like Fantasyland. Radiator Springs Racers Fastpasses runs out early. Luigi's and Junkyard Jamboree's wait times are about 10-20 minutes each. During, World of Color they are about 5-10. Know where to go. Watch a show like the Enchanted Tiki Room if you are looking to sit and kill time. Sleeping Beauty Castle or Tarzans Treehouse usually has no wait. Because they are walk through attractions. Redwood Creek trail can keep you entertained while waiting for a FastPass. If you have small children, ask for a rider switch pass. No one has to miss out. Once the first rider has finished the ride, the next person gets on. As a bonus, some members of your party may ride the attraction twice. You should use the Disneyland App to find the rides with the shortest wait times. Arrive when the park opens to get on rides faster or show up later in the day. The park is a ghost town in the off season. Even when it has been busier early after opening and late before closing the park is not crowded. If all else fails pay $10 a day per ticket/pass for the MaxPass. A MaxPass allows you to get FastPasses via the Disneyland app. World of Color and Fantasmic offers FastPasses which are better than lining up hours before the show for a spot. Show FastPassess do not interfere with your ability to get more for the attractions. Do not devote hours claiming your spot. Disneyland sells dinner packages. 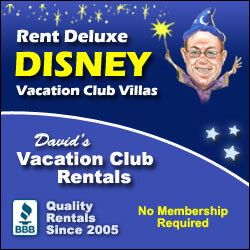 These packages include Fantasmic or World of Color passes with better views. It is not worth staking out a spot hour before. Stay for the second parade if there is a nighttime parade it is easier to find a place to sit. Main Street and Buena Vista Street gift shops stay open half an hour to an hour after closing. Closing time varies by season wait until closing time to shop. Read my list of Disneyland freebies here if you are also looking to save a little money. Read this post to learn where to cool off when it is hot. If you have any new tips, please comment below.